Proper nutrition is of utmost importance in maintaining health and treating illness. The type of basic nutrition will be determined on an individual basis based on a variety of factors. 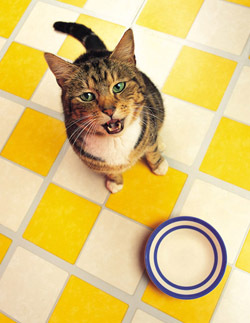 Careful consideration is necessary with regard to your pet's diet. Each pet has its own characteristics, likes and dislikes and digestive system peculiarities and sensitivities. A complete and balanced diet including protein, fat, vitamins and minerals are necessary for proper growth and disease resistance. In general, we encourage as natural a feeding program as possible. Supplemental minerals, vitamins and nutrients help to correct deficiencies, prevent pathology and reverse tissue damage. Supplements are prescribed to support the organs and body tissues, aid body detoxification and give energy to assist in the healing process.